These may also direct fit to other Nissan, Mitsubishi, and Suzuki applications. 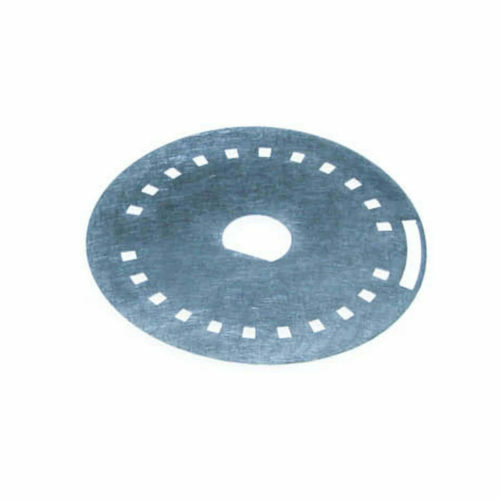 Look for a 50 mm outer diameter with a D-shaped hole in the center. Does not fit most RBs, VG, or CA motors. Distributor equipped engines can gain extra resolution and more precise timing, while cars with coil on plug can now use MegaSquirt without having to add a crank trigger. 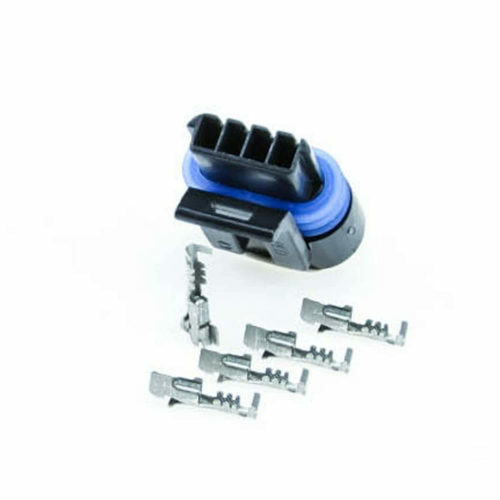 Easy bolt-on installation, just take the cover off your CAS or distributor, remove the rotor on a distributor, and undo the big Philips screw in the middle. Once you’ve got that, it just drops in. Click HERE link for how to use this trigger disc with MegaSquirt. 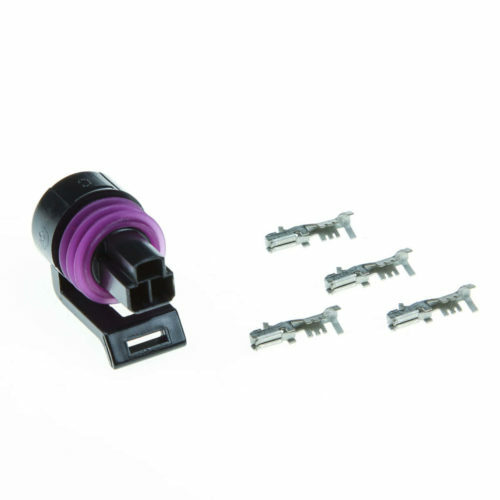 What are the benefits of using this trigger wheel over the stock trigger wheel? When used with a MegaSquirt, this trigger wheel allows for more accurate timing (especially while starting) and cylinder identification. If you are having problems with the motor “kicking back” while cranking, this trigger wheel will fix them. It will also permit using sequential injection or distributorless ignition. Note that MS3 does not require this disc with an SR20DET as it has native support for the SR20DET pattern. Do I absolutely need this trigger wheel when installing MegaSquirt on one of these engines? No. MegaSquirt can use the stock trigger wheel if you are running a distributor ignition and bank to bank fueling. Note that MS3 supports the stock SR20DET trigger pattern natively. Can I use this with a non-MegaSquirt ECU? You will need to consult your ECU documentation or technical support to see if this pattern will work with your unit. Yes - we changed the thickness as the thinner discs were often a bit bowed. Usually not enough to affect operation once assembled, but we received a number of complaints. 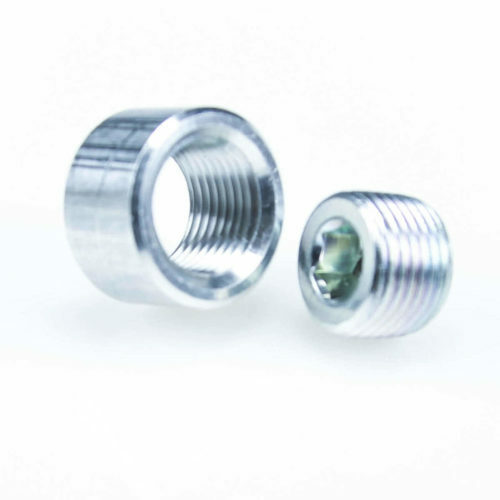 3/8" NPT Stainless Steel Weld-On Bung for IAT or CLT SensorOur 3/8" pipe fitting for temperature sensors is now available in stainless steel. This one can be welded to either stainless or mild steel. Comes with galvanized steel plug as well. 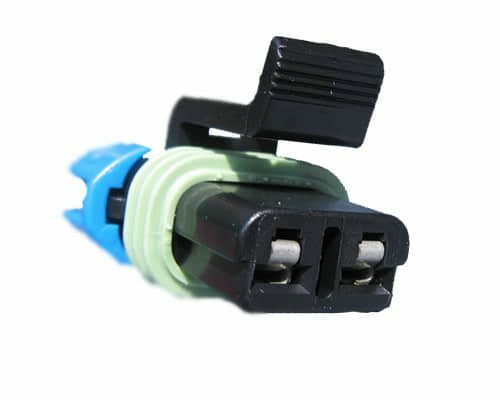 This 2 wire pigtail connector replaces GM part number 12101855. Used on a variety of applications, including some distribtutorless ignitions, vehicle speed sensors, and many chassis wiring locations. Please check mating connectors before ordering. 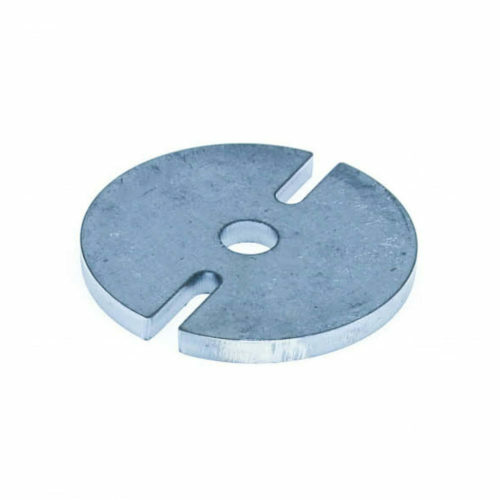 3" diameter, 1/4" thick spacer for our trigger wheels. Has a 1/2" center wheel and notches for locating bolts. 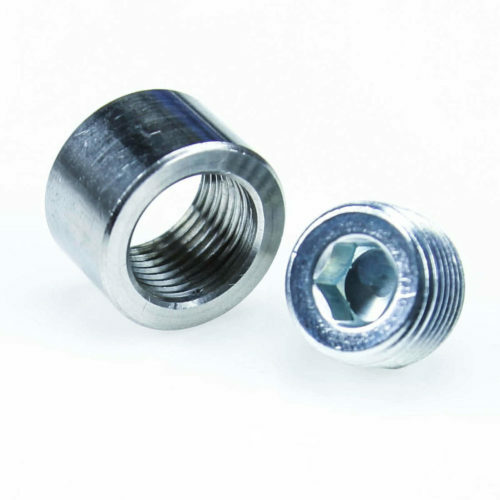 3/8" NPT Aluminum Weld-On Bung for IAT or CLT SensorBung is 6061-T6 aluminum alloy; the included plug is galvanized steel.